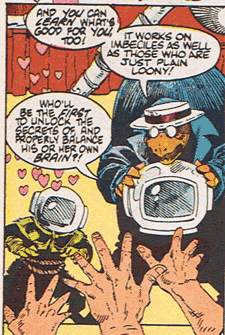 A monkey wearing a helmet is in love with three giant hands! Coming next week on Heroes. Does that thing look a whole lot like Magikoopa to anyone else?